Royl Culbertson, musicista e sound artist nato nell'Illinois e basato a Vienna, è stato membro delle formazioni Kuu Sekt, e Skarekrau Radio per oltre un decennio, facendo circolare la parola della pseudo-setta alpino-himalayana "kuu", con le band MAHTPA, Burlin Mud, Tempel Solaire, e Tripstrü. Ha studiato alla Akademie der Bildenden Künste di Vienna. Attualmente è coinvolto nelle performance di Karner-Samaraweerovà White For e nel progetto sonoro Metal Mangs: Sound sculptures horror landscape con Burlin Mud. 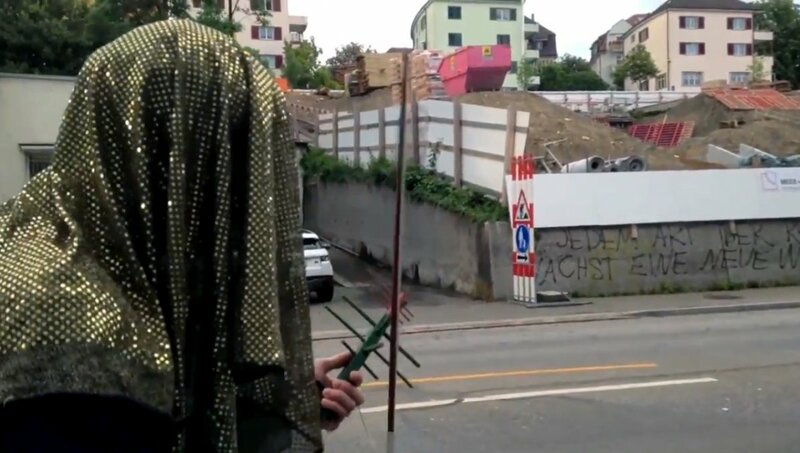 Royl Culbertson, musician and sound artist born in Illinois and based in Vienna, he has been a member of the Kuu Sekt, Skarekrau Radio, for over a decade, spreading the word of the pseudo-sect "Kuu" with the bands MAHTPA, Burlin Mud, Tempel Solaire, and Tripstrü. He studied at the Vienna Fine Arts Academy since 2011. Current performance/sound projects include Karner-Samaraweerova’s White For and Metal Mangs: Sound sculptures horror landscape with Burlin Mud.